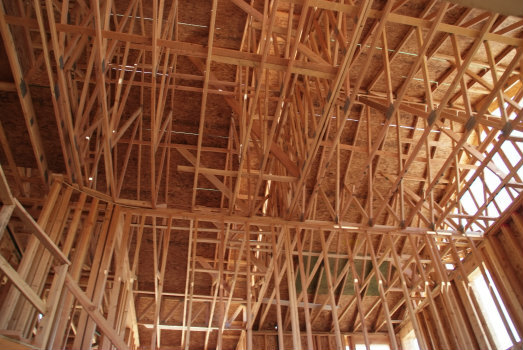 Specifically, flame retardants in construction materials are used to raise the threshold temperature at which a material ignites, reduce the rate at which materials burn, and minimize the spread of flames. Three major categories of building materials that require the fire-protective benefits of flame retardants include cables and electrical wires, insulation, and structural elements. Today’s modern structures contain a large volume of electrical wires and cables, from phones and computers to heating systems and elevators. Electrical and communications equipment that feeds into various rooms of a building is usually bundled together and can run vertically from floor to floor behind the walls of a structure, potentially increasing the fire risks from short circuits and other electrical malfunctions. If one wire is the cause of a fire, for example, it potentially affects all of those in proximity. In addition, hidden cables and wires cannot be easily checked or maintained on a regular basis. Builders use plastic insulation treated with flame retardants to coat wires and cables, keeping a spark or flame from spreading along the covering, and reducing the chance of electrical fires. Large sheets of polystyrene foam boards and rigid polyurethane foam panels are widely used in the building and construction industry to insulate walls and ceilings to manage sound and temperature. These foam boards allow builders to meet national and state energy efficiency requirements, but it can ignite easily and give off toxic fumes when burning. Flame retardants are required to be applied to these materials to increase fire resistance and give individuals more time to evacuate a building. Steel structures, metal sheets, wood, plaster, and concrete used in building construction are coated with special paints and sealants that expand and form a thick insulating, non-flammable foam. Flame retardants are an important component in the formulation of these coatings. At a certain temperature, steelwork can lose its ability to bear weight, and can buckle or collapse, compromising the structural integrity of a building. In the event of a fire, the flame retardant coating on the steel helps prevent this from happening by insulating the metal structure from the heat. The wide variety of applications used in the building and construction industry, from electrical wires and cables to decorative fixtures, require the use of an equally wide variety of flame retardants. Turning Star's flame retardants are recognized across the world for their high quality, ease of application, and non-toxicity. Learn more about the Turning Star's flame retardant products and services for the construction industry.